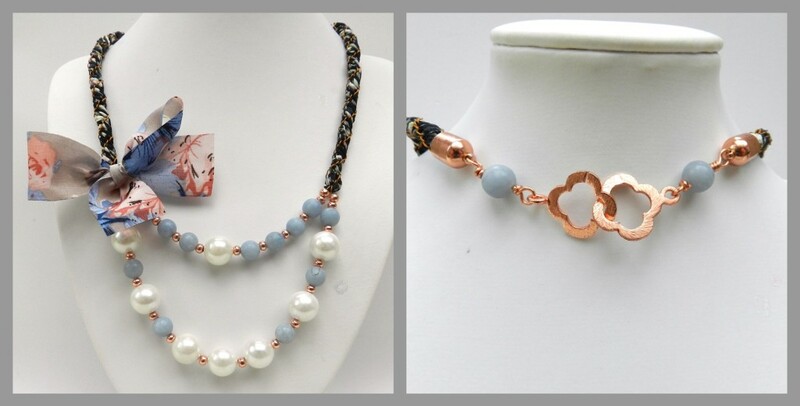 On 29.3.16 I showed how a lovely kit of pearls, floral ribbon and some fabulous Angelite 6mm rounds could be used to make some ultra-pretty necklaces and bracelets. Other beads of similar sizes could be used instead. I love bows, so they found their way into most of the designs, but if you prefer simpler lines, just omit them! 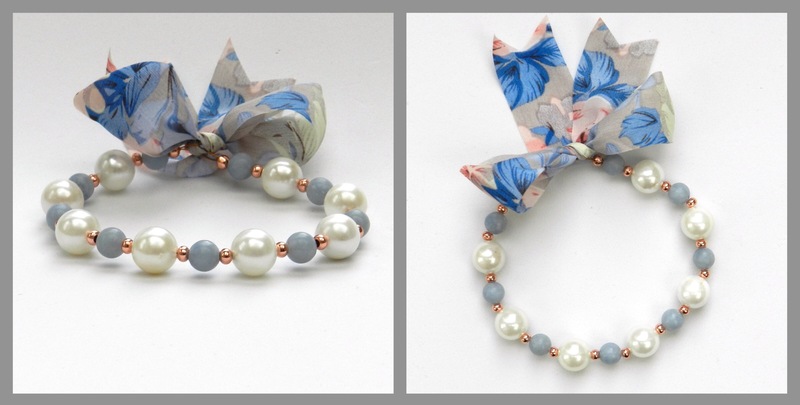 Alternatively, if you love bows you could always find a few places to add an extra one! To watch the show click on this link. The demo for this kit can be found approximately 3 hours and 27 minutes into the recording. 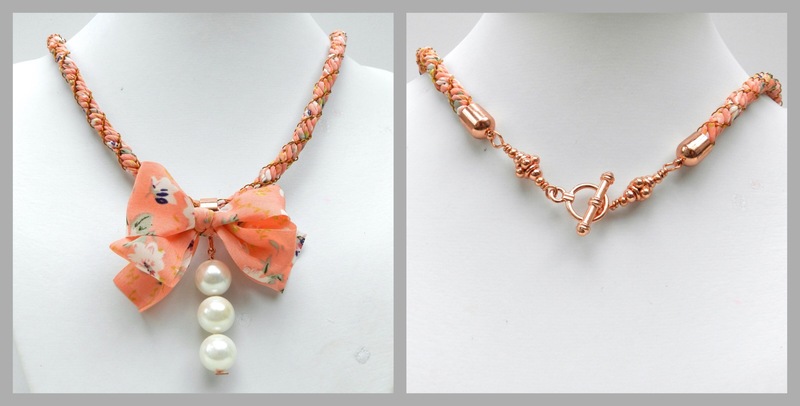 The first necklace was demonstrated on the show. 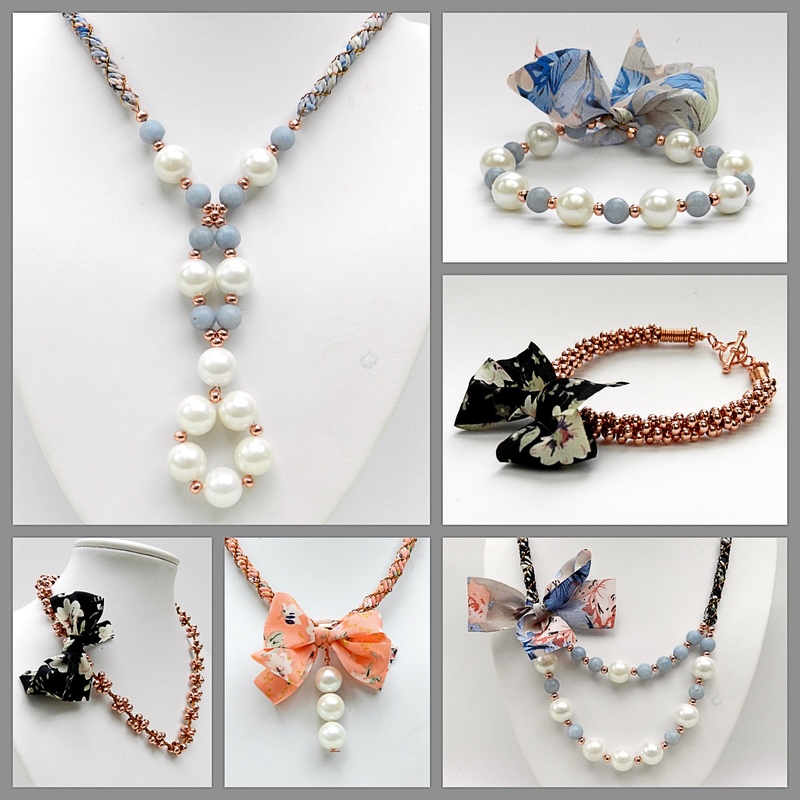 All of these designs use a braiding technique using ribbon and beading wire/thread. Use 4 ribbons on either side of the north and south dots and use 4 beading wires/threads on either side of the east and west dots. A weight will be needed on the braid end and also on the bobbins. Either use weighted bobbins or tape 2 x 50p onto the back of each bobbin. 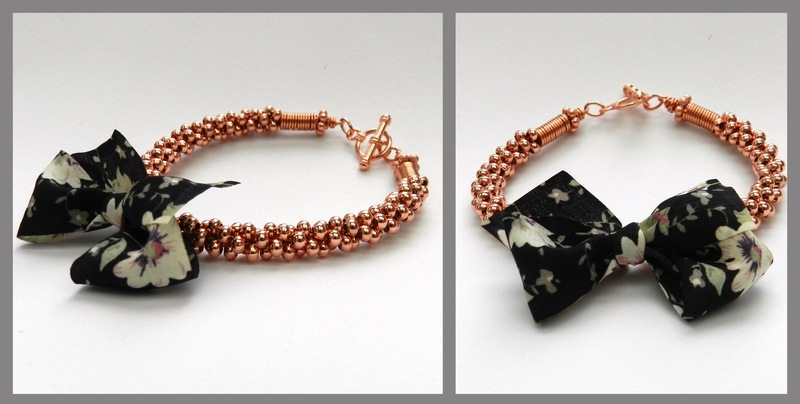 This bracelet is made with 4mm rose gold seed beads and beading thread/wire. The braid structure is 7 cord and beads are used on all 7 wires. Leave a small unbeaded gap in the middle to accommodate the bow. 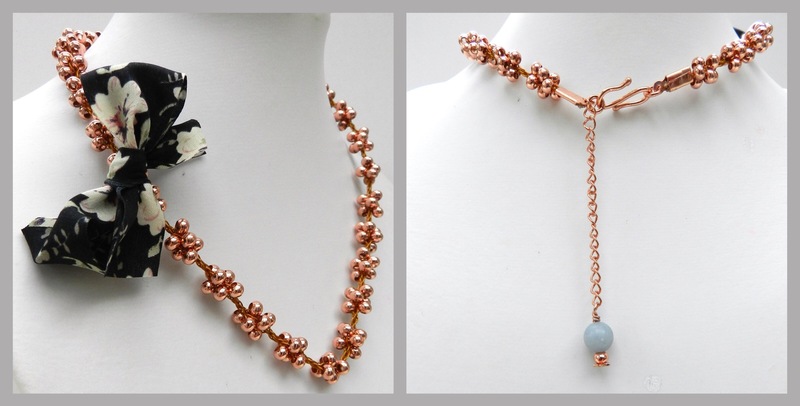 The braid structure is 7 cord braid and the materials are 3mm rose gold seed beads and beading thread/wire.Each section of this necklace is made with 7 beads, followed by 7 moves without beads. Fold-over ribbon ends are used to finish off the ends. 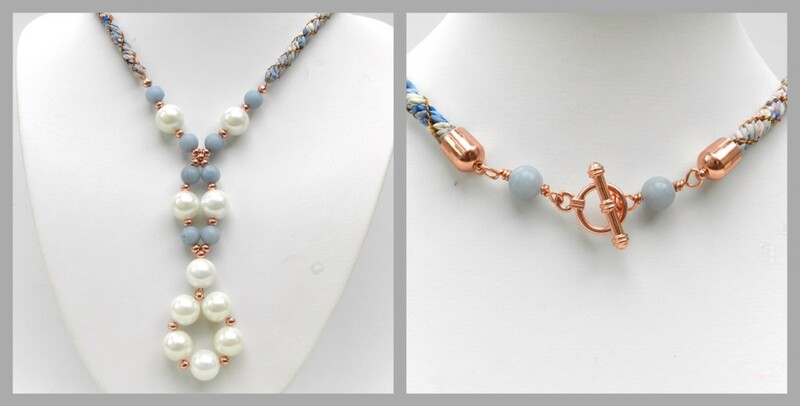 The wire can be shaped into a gentle point at the front after the clasp has been added. This is a kumihimo website so I am not going to give instructions for this simple bracelet, but it is too pretty not to show!